Turn the handle and first one fires, and then the other. 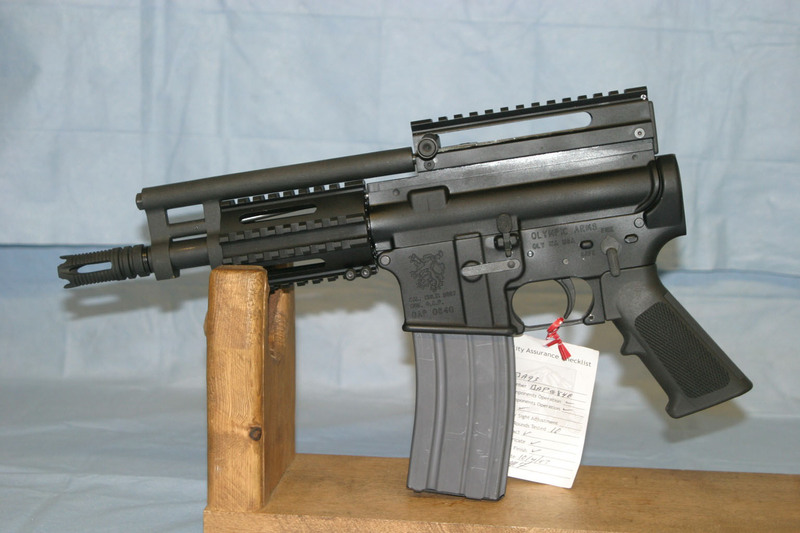 BACKORDERED AR15 PISTOLS ARE IN !!!! HARD TO GET. NEAT GUNS. THESE ARE MADE THE WAY THEY SHOULD HAVE BEEN. LOOK AT HOW IT CYCLES. ALSO NOTE THE THREE USABLE PICATINNY RAILS on the handguard and one atop the receiver. This is a great product.Does not have a spring projecting backward toward your chest though I have a new one of those for sale as well (in case you like that style). HK 91 SEMI-AUTO 98% Condition 5 20 Round Mags $3000 + Sh/Ins to your FFL. Disclaimer: ...and I hate to write this. If you live in one of those socialist states (you know which ones) which prohibit import of certain weapons, don't even ask me to sell to you.